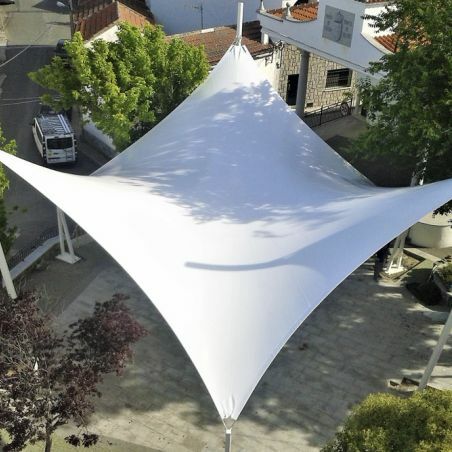 PVC: 43 x 13.5 m approx EFTE: 38.5 x 6.7 m (length x maximum height) approx. 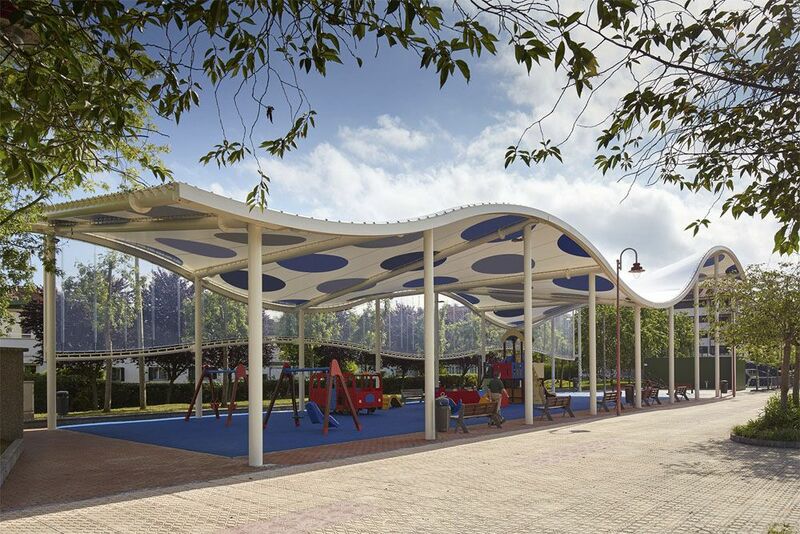 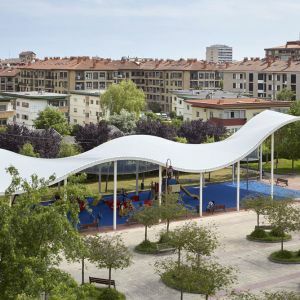 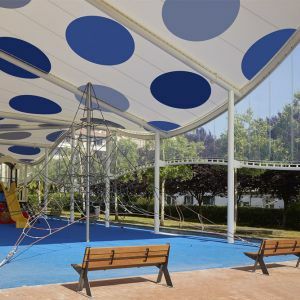 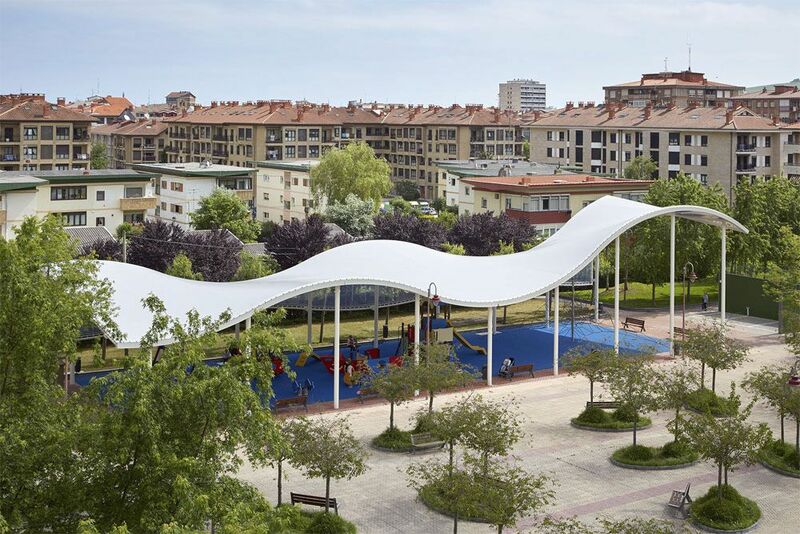 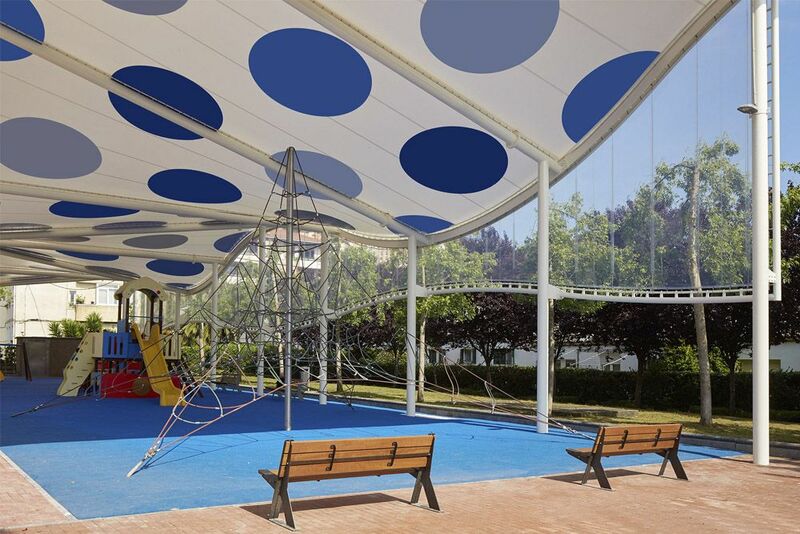 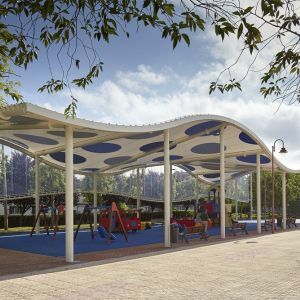 At the request of the neighbours, the city council of Zarautz has promoted the remodelling of the park IGERAIN GAIN, with the final objective being the installation of a whole new covering over the playground, thus protecting it from inclement weather. 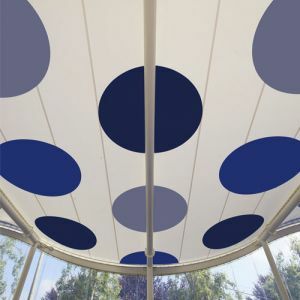 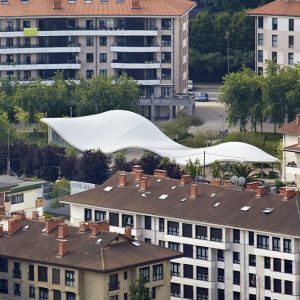 To this end, a tensioned PVC canvas painted on the inside has been installed, and an ETFE enclosure on the north façade to protect the area from wind and lateral rain. 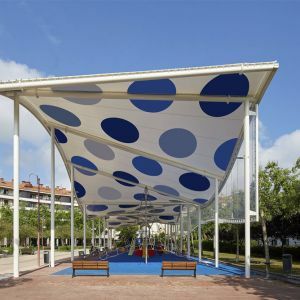 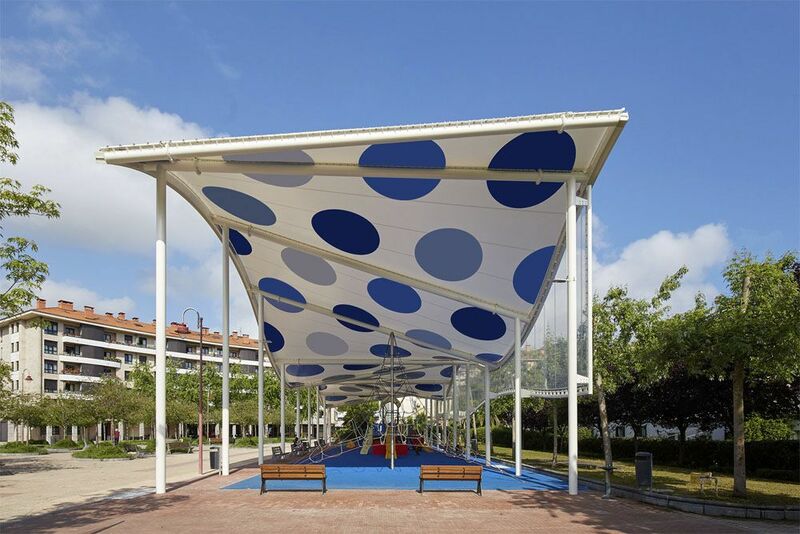 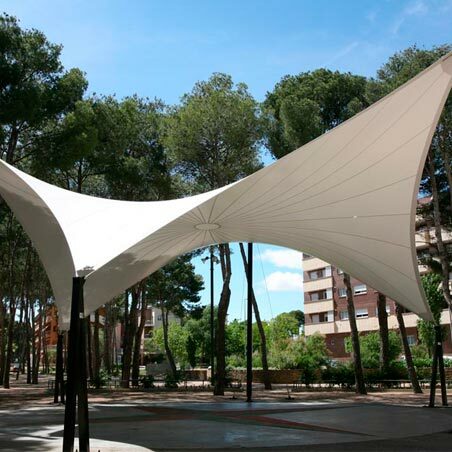 The tensioned PVC canvas is attached to the perimeter and to the frames, adapting to the particular shape provided by the structure. 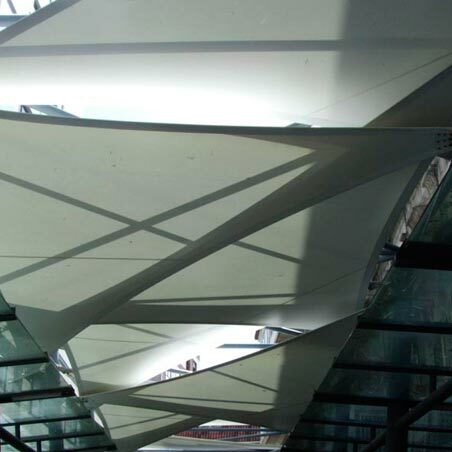 In addition, thanks to the anchoring system used, rainwater is collected by the structure as designed by the architect. 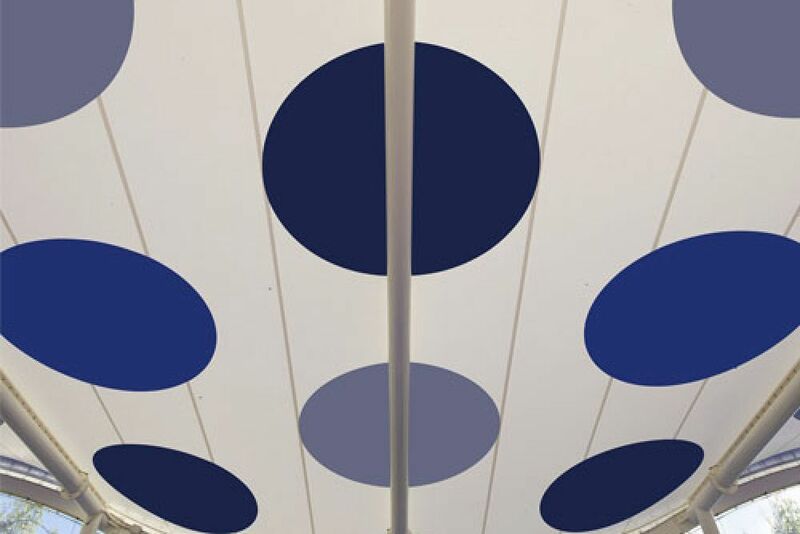 The great novelty of this tensioned canvas is the labelling on its inner face of large dots of 2.5 m (approx.) 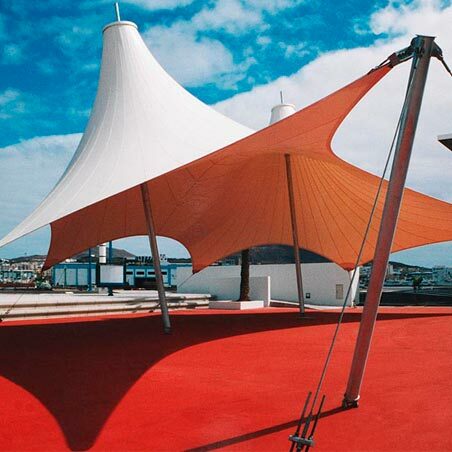 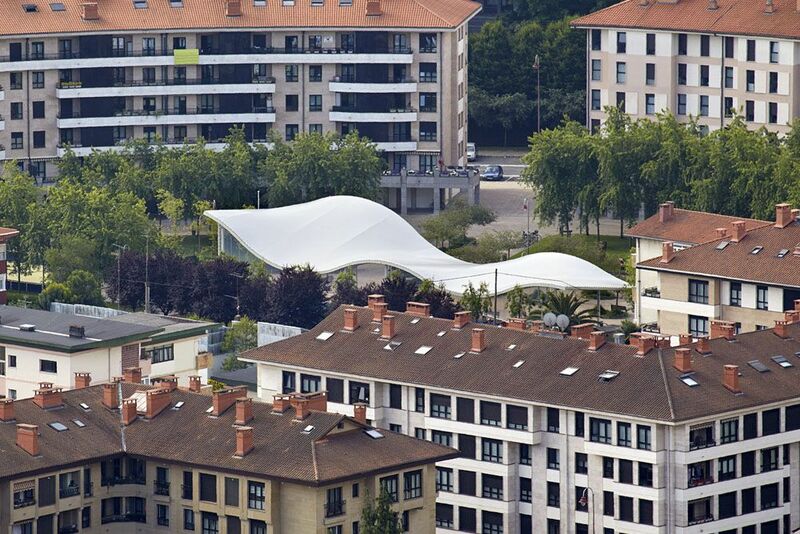 in diameter with several colours, which shows the versatility and possibilities offered by this type of membrane. 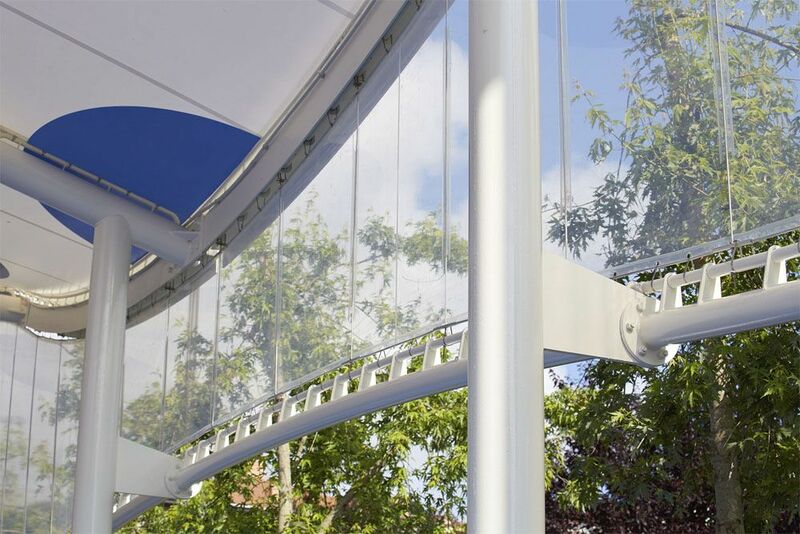 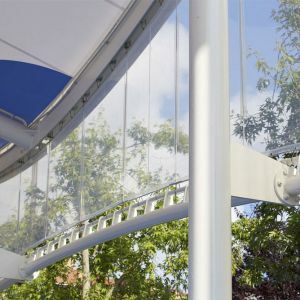 The transparent single-layer ETFE enclosure with stainless steel cables protects the park from rain and side wind, without hindering the entrance of light to the park and adapting without problems to the curved shape of the structure.